On January 9, 1776, exactly 242 years ago, the great American Patriot Thomas Paine published the first edition of his pamphlet “Common Sense.” In it he advanced the arguments why the colonies needed to break free from England, and argued for a new political system based on democracy and equality, quite dissimilar to England’s monarchy and class-based hierarchy. While he acknowledged that the colonies were outnumbered and outgunned, he declared that the unity of the American colonies in spirit and purpose would withstand the battles to come. Those sentiments are being borne out again, this time, between the United States of America and Israel. On December 6, 2017, US President Trump acknowledged the reality that Jerusalem is the capital city of the State of Israel. It was a move that was welcomed by the government of Israel, but not by much of the world. Shortly thereafter, the United Nations Security Council voted to denounce USA’s decision in a vote of 14-to-1, with only the US voting against the measure. That single vote by a permanent member of the UNSG was enough to block the resolution. The Arab states moved to have a similar vote at the UN General Assembly. The lopsided vote came in at 128 countries voting to condemn the American recognition, 9 votes supporting the USA and 35 countries abstaining. The overwhelming vote was non-binding and the US continued to take measures that were completely within its rights and jurisdiction . “Thanks to the [US] President’s leadership, the alliance between our two countries has never been stronger, and the friendship between our peoples has never been deeper. And I am here to convey a simple message from the heart of the American people: America stands with Israel. 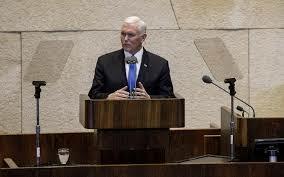 Pence made clear that the US stands with Israel in both the positive and negative; in the passive and the aggressive. The US stands with Israel in the mundane. In a democratic way of life. In commerce and trade. In acknowledging truth and fact. And the US also stands with Israel against the forces of hatred, racism and antisemitism. Against evil ideologies and terror. Against distortions and fake history. 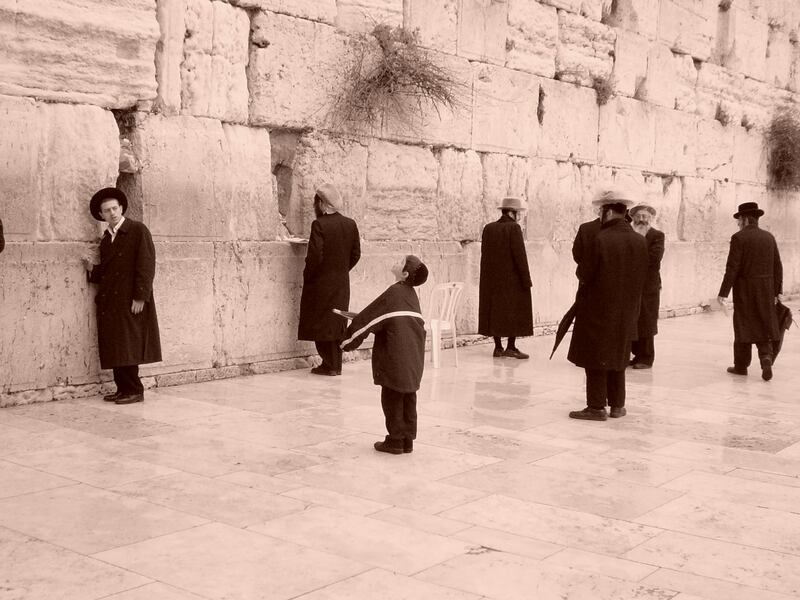 “In the story of the Jews, we’ve always seen the story of America. It is the story of an exodus, a journey from persecution to freedom, a story that shows the power of faith and the promise of hope…. “The Jewish people held fast to a promise through all the ages, written so long ago, that “even if you have been banished to the most distant land under the heavens,” from there He would gather and bring you back to the land which your fathers possessed….“The Jewish people’s unbreakable bond to this sacred city [of Jerusalem] reaches back more than 3,000 years. It was here, in Jerusalem, on Mount Moriah, that Abraham offered his son, Isaac, and was credited with righteousness for his faith in God. 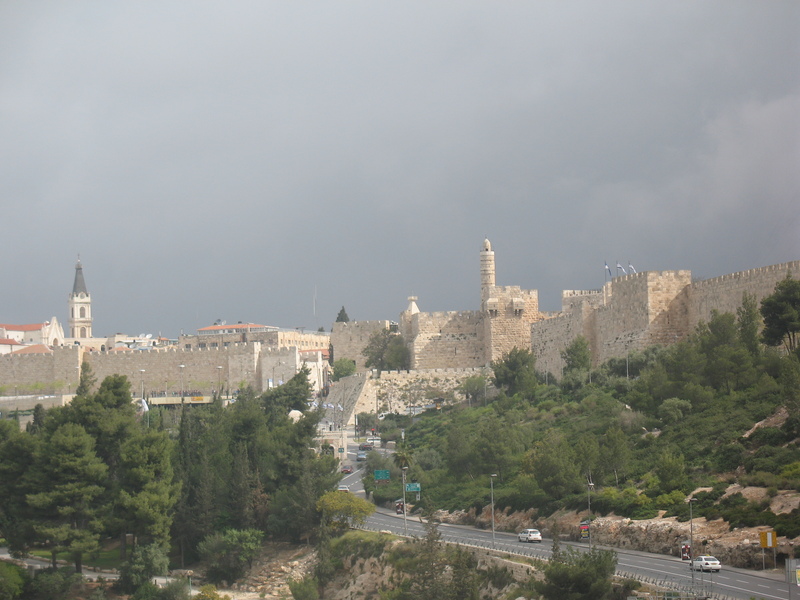 “It was here, in Jerusalem, that King David consecrated the capital of the Kingdom of Israel. 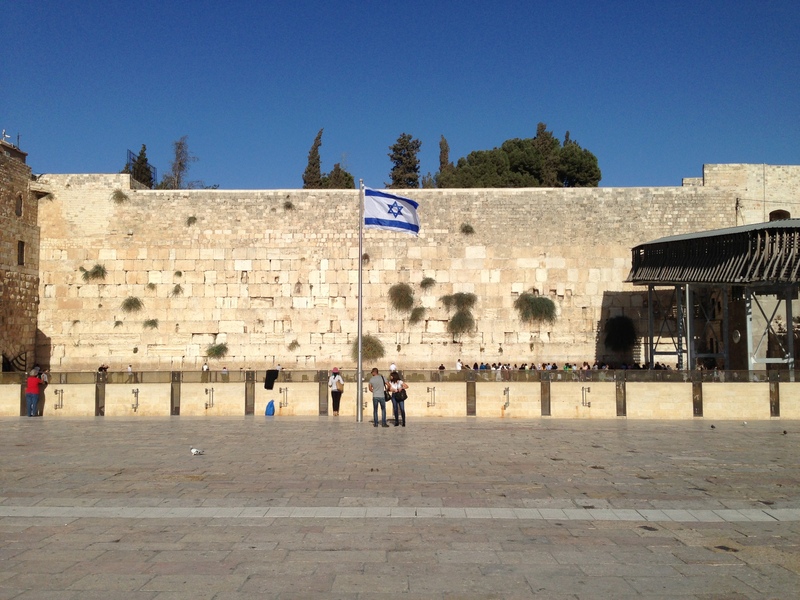 And since its rebirth, the modern State of Israel has called this city the seat of its government. “Over the past two days, I’ve traveled to Egypt and Jordan, two nations with whom Israel has long enjoyed the fruits of peace. I spoke with America’s great friends, President Al Sisi of Egypt, and King Abdullah of Jordan, about the courage of their predecessors who forged an end to conflict with Israel in their time.And those two leaders prove every day that trust and confidence can be a reality among the great nations who call these ancient lands home. “How unlikely was Israel’s birth; how more unlikely has been her survival. And how confounding, and against the odds, has been her thriving. You have turned the desert into a garden, scarcity into plenty, sickness into health, and you turned hope into a future.Israel is like a tree that has grown deep roots in the soil of your forefathers, yet as it grows, it reaches ever closer to the heavens. And today and every day, the Jewish State of Israel, and all the Jewish people, bear witness to God’s faithfulness, as well as your own. The US is proud of Israel and Israel is proud of the US. That unity is a strength for both countries and will hopefully continue to “repel the force of the world” for many years to come. This entry was posted in Israel, United Nations, USA and tagged Israel, Mike Pence, radical Islam, United Nations, USA by First.One.Through. Bookmark the permalink.